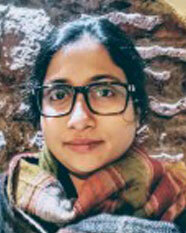 Dr. Nandita Roy is an Assistant Professor of Communication at Indian Institute of Management, Lucknow. Prior to her appointment at IIM Lucknow, she taught Business Communication at IIM Kashipur from 2016 to 2018. She was also a guest lecturer in Communicative English at National University of Juridical Sciences (NUJS), Kolkata. Nandita’s industry experience includes working as media consultant for National Geographic Channel, India. Her doctoral thesis is on narrativity and storytelling in video games. Her research interests include game based learning, social media communication, business narratives and gender studies.